Diabetes Insipidus is a medical condition, where antidiuretic hormone insufficient levels result in polydipsia-excessive thirst, and excessive production of polyuria-very dilute urine. Diabetes Insipidus is caused by antidiuretic hormone-vasopressin decreased production, the hormone, that naturally restrains the person’s body from producing excessive urine amount. 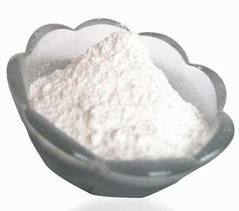 Vasopressine-antidiuretic hormone, is unique in that, it is created in the hypothalamus, then stored and released into the person’s bloodstream by the posterior pituitary gland. 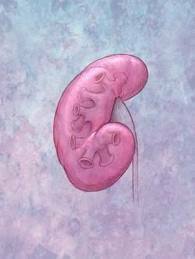 Diabetes Insipidus may also happen when levels of antidiuretic hormone are normal, but the kidney do not respond well to the hormone-condition, known as Nephrogenic Diabetes Insipidus. Diabetes Insipidus can have few causes. 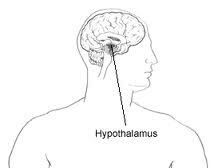 One cause might be that the hypothalamus can malfunction and create small antidiuretic hormone amount. Another possibility is that the pituitary gland can fail to release the hormone into the person’s bloodstream. Other causes include aneurysm or arteries blockage, leading to the person’s brain, some types of meningitis or encephalitis, Hand-Schuller-Christian disease, brain injury, tuberculosis, sarcoidosis, and tumor. Rarely, an individual experiences xcessive thirst psycholodic symptoms, causing excessive fluid intake and excessive urination. 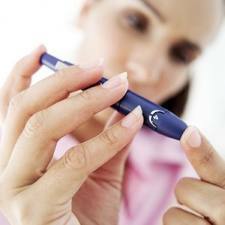 Diabetes Insipidus can start suddenly or gradually at any age. Frequently, the only symptoms are excessive urine production and excessive thirst. 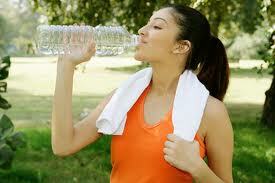 An individual can drink huge fluid amounts: 4 to 40 quarts per day, to compensate for liquids lost in the urine. If compensation of fluids is not possible, dehidration may promptly follow, causing low blood pressure and even shock. An individual continues to urinate excessively and frequently overnight. A doctor suggest Diabetes Insipidus in individuals produces large urine amounts. First of all, the doctor tests the person’s urine for sugar to eliminate other form of diabetes, such as Diabetes Mellitus. Blood tests reveal many electrolytes’ abnormal levels. The most reliable and simplest test for Diabetes Insipidus is the water deprivation test. Such a test must be performed in a doctor’s office or other medical departments because the person is not allowed to drink fluids during such test and severe dehydration can happen. Weight, blood sodium-electrolyte levels and production of urine are measured regularly for few hours. As soon as heart rate increases or blood pressure falls, or more then 5% of the body’s weight is lost, the test is discontinued and the patient is given an antidiuretic hormone injection. Diabetes Insipidus diagnosis is confirmed, if in response to this antidiuretic hormones, the individual’s heart beats more normally; blood pressure rises, and excessive urination stops. If possible, the Diabetes Insipidus’ underlying cause must be treated. Desmopressin acetate or Vasopressin-antidiuretic hormone type, can be used as a nasal spray few times a day to keep urine output under control. Sometimes, the disorder may be kept under control with medications that stimulate antidiuretic hormone production, such as Thiazides, Chlorpropamide, Clofibrate, and Carbamazepine. In severe cases, such prescription drugs may not relieve symptoms completely.